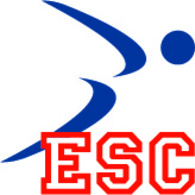 ESC Disability Swimming Squad (EDSC) is a house club that is part of ESC. We have been operating since May 2013 as a club training session that is designed specifically for those with disabilities. The club forms a third tier of a brand new scheme which includes other local community clubs and Ealing Council. This provides a pathway from the learn to swim level, all the way to EDSC which encourages Paralympic classification and competition. Club sessions are on Thursday evenings at Dormers Wells Leisure Centre between 8 – 9.30 pm. The squad has three lanes which are used to run sessions that are specific and inclusive to a range of disabilities and swimming skills. In order to join EDSC, swimmers must be able to swim 100 m on their front and back (where applicable). If you are currently unable to do this, there may be a part of the scheme suitable to you so feel free to contact us. The squad currently contains a number of swimmers who regularly compete at regional and national level and are also part of London Disability Swimming Club. ESC has also been designated Hub-Club status by the Amateur Swimming Association for disability swimming in the West London region. Squad sessions consist of a majority of swimming and competition technique that can be used by swimmers as specific feedback in their respective home clubs. In this way the swimmers benefit from improved technique tailored to them which is normally beyond the range of typical club swimming. The scheme as a whole has been hugely successful and EDSC is proud to share links with Ealing Council, Harrow Kingfishers, Ruislip Turtles and LDSC. News of the scheme has travelled far and we have recently received a visit from the Swedish Paralympic Swimming Committee.